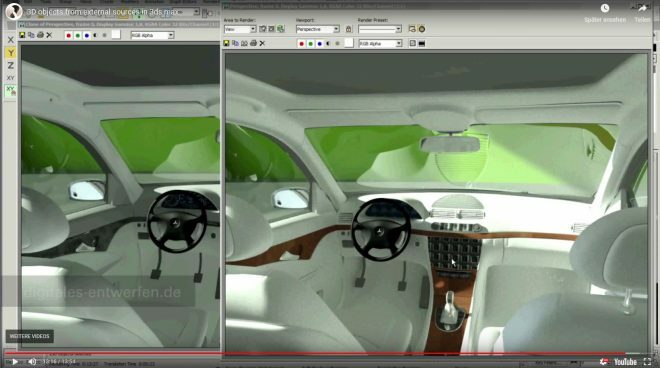 Preparation, optimization and import of 3D models from external sources into the current render scene. You’ll find more and more furniture manufacturers who put their products as 3D objects for download on the Internet. One of the largest furniture manufacturers in the design sector is Vitra, which offers almost its entire furniture collection for download. You must register on the Vitra website and receive a registration code (may take days). In the Lookbook area you will find entire furniture ensembles such as seating groups in different styles.